The Walt Disney World Resort will be receiving an early Christmas present this year in terms of new attractions that will be opening this holiday season. The Magic Kingdom will have several additional attractions open as part of the massive Fantasyland Expansion that has been underway. 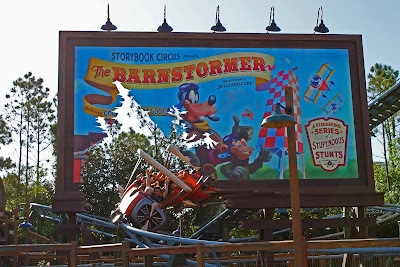 Joining the Storybook Circus attractions of Dumbo The Flying Elephant, The Barnstormer Starring The Great Goofini, and Casey Jr. Splash "N" Soak Station will be several new attractions. With an official Grand Opening of December 6th and a Preview Date starting on November 19th, Disney World Guests will get to experience the new Under the Sea- Journey Of The Little Merrmaid, Ariel's Grotto - meet & greet, Be Our Guest Restaurant, Gaston's Tavern, & Enchanted Tales With Belle. 1 comments to "Magic Kingdom Welcomes New Fantasyland Attractions This Holiday Season"
I can't wait for these attractions to open. We'll be there later in the Holiday season.